Home » birth » New Attachment Parenting Class at The Sanctuary! New Attachment Parenting Class at The Sanctuary! Over the summer, a couple dozen candidates were chosen for the first ever attachment parenting teacher training. 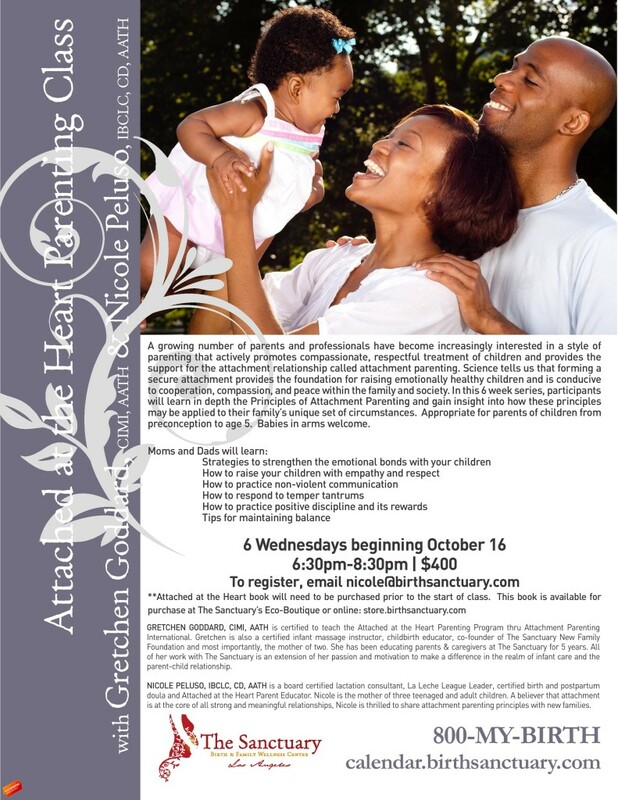 I joined an amazing group of men and women who are now certified to teach “Attached at the Heart” parenting classes to parents and parents-to-be. My first series is going to be co-taught with Gretchen Goddard, CIMI, on Wednesday evenings at The Sanctuary starting October 16th. The class is going to last six weeks. We plan to repeat the series quarterly. Please contact The Sanctuary to register at 310-566-7690.